To create the highest performing, most innovative, environmentally sustainable alternatives to conventional plastics. To empower communities, organizations, and product manufacturers to reach their sustainability goals. Together we will create a sustainable world. Based in Circle Pines, Minnesota, Natur-Tec® has a strong global presence. 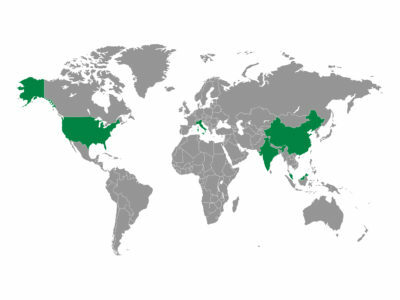 With research and product development capabilities in the USA, India, and China and manufacturing capabilities in the US, China, India, Malaysia, and Italy, Natur-Tec® is uniquely positioned to support sustainability on a global scale. We’re happy and honored to have won the 2014-15 “Masters of Innovation” award from Interline Brands. Vendors considered for this award are proven market leaders being first to bring IBI new products and trends. They routinely develop unique marketing strategies based on expert channel knowledge to create accelerated growth and work with our sales teams to open new business opportunities. This award is a reflection of tremendous team work, strong customer focus, and terrific products. We are privileged to work with such a great team at Interline Brands and look forward to strengthening our partnership well into the future. We’re very happy to be a part of, and support, the MSU RISE (Residential initiative on the Study of the Environment) Program at Michigan State University. This is research in motion creating effective, accessible solutions for a sustainable world. Northern Technologies International Corporation (NTIC) is a developer, manufacturer, and marketer of corrosion management solutions including services, packaging, coatings, and systems. NTIC produces and manufactures products under the Zerust/Excor, Zerust: Oil and Gas, and Natur-Tec® brands. The success of our clients is our priority. Natur-Tec® partners with powerful brands and organizations all over the world to provide the highest quality products. We follow and support companies and organizations working towards creating a more sustainable future. We are invested in creating a more sustainable future. Get in touch with us to see how Natur-Tec® can assist you in reaching your sustainability goals!